Because we want to know if you are worth our time, if you are genuine, if you are worth listening to, if your qualifications are up to standard. That is why the back flap of the book always tells a little about the author. That is why traditionally speaking all books of Jewish learning seek approval of the most learned men. We want to know who you are before we become your students. We do not want to buy your fake magic potions. A fool and his money are quickly parted. 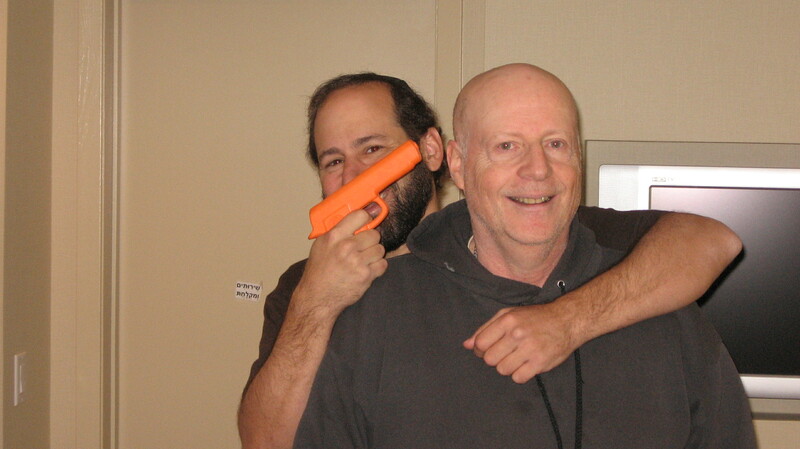 Training with Prof. Cohen, a lighter moment but always deadly serious. In my early seminar days I had the great privilege of having one of my mentors observe me in action. He critiqued me. He helped me grow. He watched me. He took notes, kept writing. What was he writing? After the seminar he came over and we went over his notes, note by note. His words of wisdom have greatly impacted me, his personal example, his integrity and honestly set an example for me. It is wonderful to have a teacher. His first remark caught me a little by surprise. Who are you? You did not introduce yourself, why? I explained that I did not want to waste the participants valuable time talking about myself and my credentials, history, accomplishments. Who are you? We really want to know. Prof. Cohen explained that he always introduces himself at the beginning of a seminar, and trust me, you will not meet a more humble man. The man not only embodies a true gentleman but everything you would ever hope to find in a true martial artist. 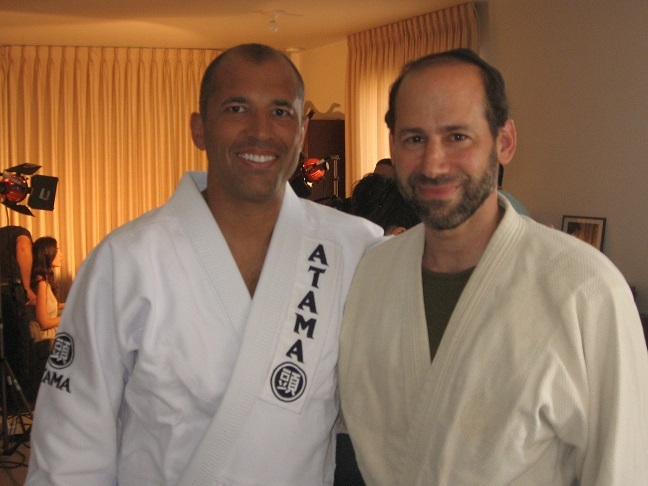 He does not look the part, he is not short and Asian, he is tall and Jewish, but he is the martial artist you have been hoping to meet. But do not call him "Master" he does not like that. To him that brings back the image of master and slave, just call him Mr. Cohen. So Prof. Cohen, a.k.a. Mr. Cohen, says we should start a seminar with introducing ourselves, assuming we are not known to the students. Sadly, I have been lacking in this area and I really must take a few minutes at a seminar to tell you a little about myself. Who are you? We really want to know. And you really should know. Who is your electrician? Is he a licensed union man? Did he serve as an apprentice under a master craftsman? Who is he? Do you really want him playing around with your electricity when you do not know who he is? You need to know who he is, you need to know if he is trained and certified or "self taught". That is why we have union certification. For a man to fix your phone he needs to have the proper training and certification. Should your life be any less important? My friend Tony Preston is a master at his craft. He is highly respected in his field, he trains and certifies others. When he comes into your house you know your house is in good hands. I have met some of his customers. We want to know if you are an honest man whom we can trust. We want to know you are using union grade materials. We want to know you are not making it up as you go along. Why should Krav Maga be any different? Recently Rob Wallace from Georgia, USA, wrote me that in all the many times we have trained together I have never hurt him. You want that on your resume. If you are bringing your child into a class you want to know that the instructor is responsible, that he will not hurt anyone. You want to know that the instructor is not going to use live weapons, ever! You want to know that your instructor trained for many years under the watchful eye of other respected instructors. 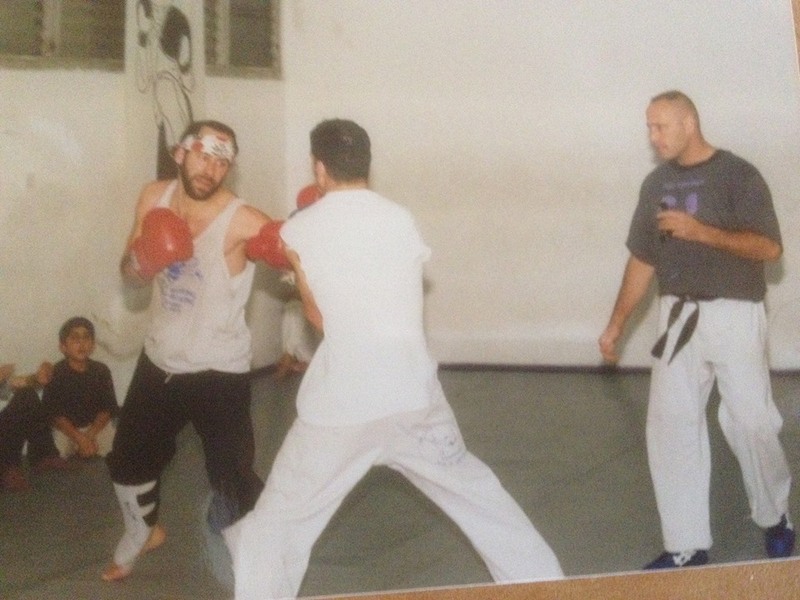 Moshe training under the watchful eye of Itay Gil, 18 years of training and a never ending relationship. You know my teachers, you can contact them, ask them about me. You can ask for my certifications from all over the world. My certifications are publicly available. I have lived and taught in the same community for more than twenty years, just come here and ask anyone.I have raised a generation, they have all served in the Israel Defense Forces with honor. I am very proud of my work. That is what you want from an instructor, you want to know who they are. Who are you? Yes, we really want to know. We want to know that you are not making up your own military records. We want to know that you are not making up your own certifications. We want to know whom you trained and who trained you. Israel, a nation of warriors, a nation of dreamers. 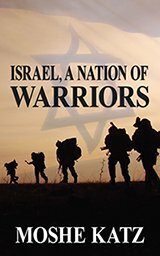 Here is the story of a Israel the fighting nation as well as my own personal story. Understand your Krav Maga better, connect to the true roots of its fighting spirit. Now in paperback and all electronic forms.